One thing we all have is a wooden comb and there are so many to choose from. I received some beard mail the other day from The Beardy Beard Co and inside was a Woodsman Knowles beard comb. 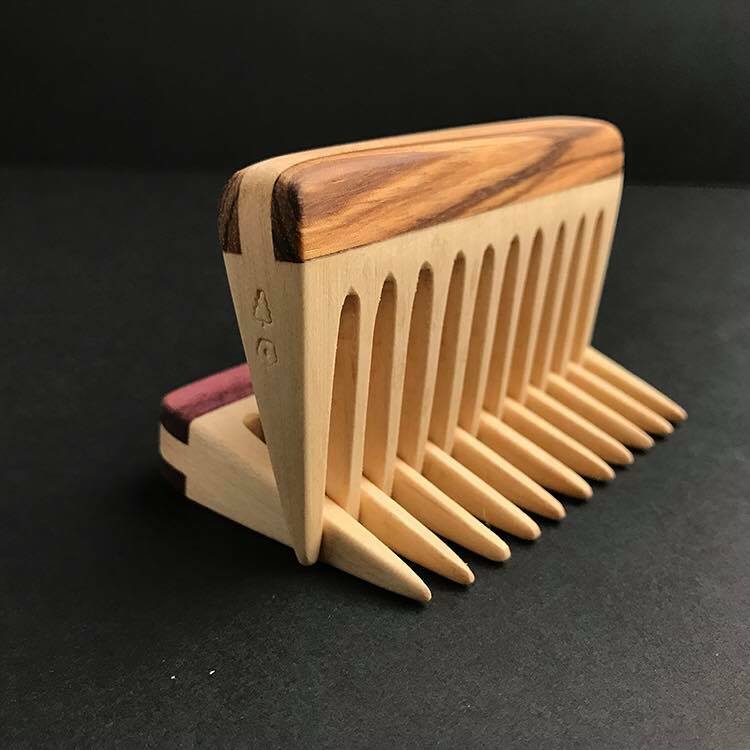 There are a wide range of beard combs available and I have quite a collection that I have received over the years, but none of them quite compare to this comb. It is a rake style comb and so even in a wirey, curly beard like mine, it glides straight through and gets right through the beard and even on the neck with the thick neck hair. Woodsman Knowles is Ben Knowles who is a joiner and he made some combs for the Sandgrown Beardsmen club for a charity raffle and the response was such that he started making and selling them. They are made from maple and the decorative inlay across the grain adds strength to the comb and helps prevent the comb from splitting in two. It also is what helps to make these combs look so amazing! 87mm x 55mm and costs £25, the larger size measures 90 x 90mm and costs £30. The sizes are approximate as these are handmade combs and so there will be a very slight variation in size. The combs can be ordered from Ben via the Woodsman Knowles Facebook page, just send him a message or his phone number is on there! The inlays vary depending on the woods he has available, he currently has Purple Heart, Padauk, Zebrano, Walnut, Cherry, Ash and Oak and I have the Purple Heart. It will take roughly two weeks for your comb to be made and delivered but can be longer if he has a lot of orders. Thank you to Gail from The Beardy Beard Co for sending me this amazing comb. After posting this I was contacted by Ray Ward who also has one of the Woodsman Knowles combs and has a handmade leather case for it that was made by The Bearded Leatherman. He makes a range of leather products and can be contacted via his Facebook page.